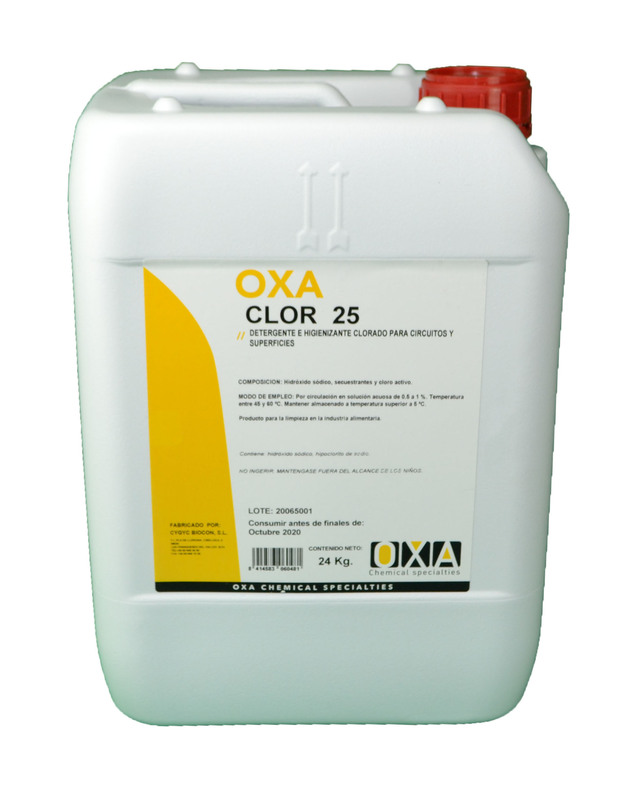 OXA - CLOR 25 is a chlorinated detergent specially designed for cleaning and sanitizing milking circuits; its no-foaming aqueous solutions make it particularly suitable for treatment by recirculation. The product is specially designed for average and low water hardness, preventing the formation of veils and lime buildup on facilities. It is advisable to combine the use of OXA - CLOR 25 with the periodic use of an acid detergent as OXA - NIFOS 105, to completely remove both organic waste and inorganic in surfaces that contact the milking circuit or the milk cooling tanks.